Awesome app. Great to have something to not only count but create your daily workout how cool! I don’t want to rate your app but if you’re going to insist every time I use the app I do rate it then here is my rating. 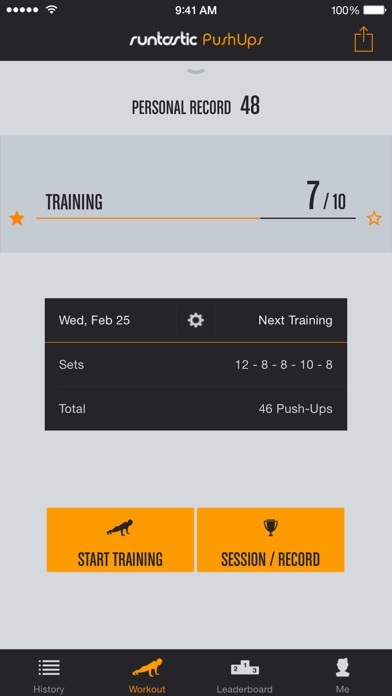 Best push up app to date if you want to be able to do more than 75 push ups in a single set. Only one thing can get this app a fifth star....sync all Runtastic Strength Apps to Apple Health. Thank you! I don’t write reviews, but this app deserves one. 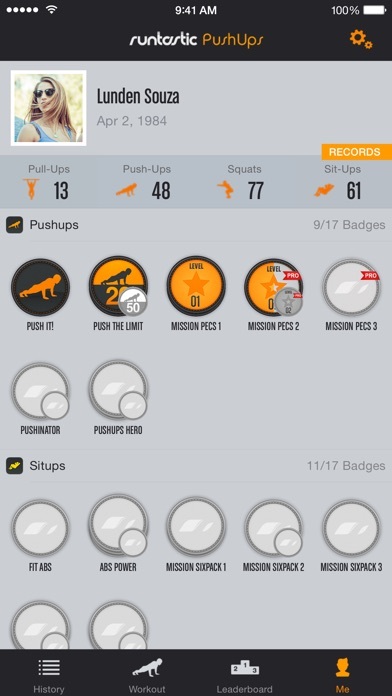 I didn’t believe that I could get to 100 pushups... 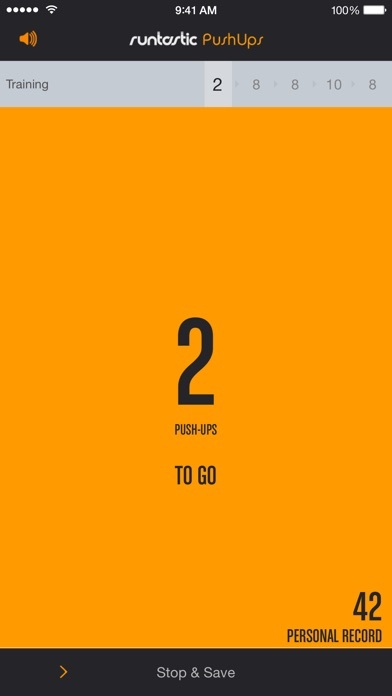 But am 18 sessions into the Level 2 trainings, and I just pulled off 40 in a row... 50 pushups is 2 days away. Can’t imagine what it’ll be like when I get to the end. You have to stay the course and trust the app to get you to the 100. Make sure you set the reminder and even if you feel tired, push through. Am highly happy I found this app and have actually downloaded the Situps Trainer. I like the app a lot but they can’t seem to figure out how to fix their data problem. There’s several reviews on this issue. It’s a great app but has one really annoying flow. I don’t like using my phone while doing my pushups, so i have to tap my screen “X” times to complete set. Would be logical to add "completed" button to simply finish the set. 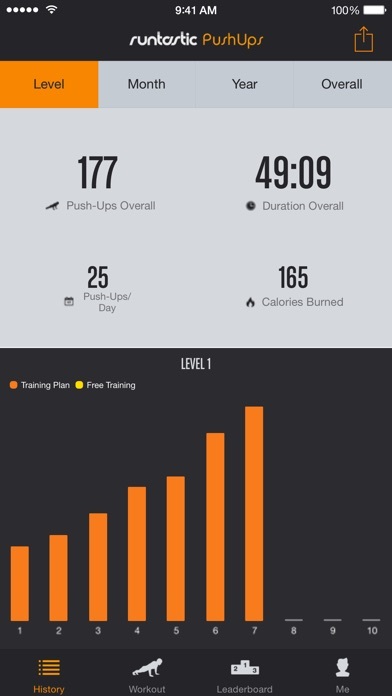 I like this app and most all the Runtastic apps! I am using them for accountability purposes during different challenges within my Unit. 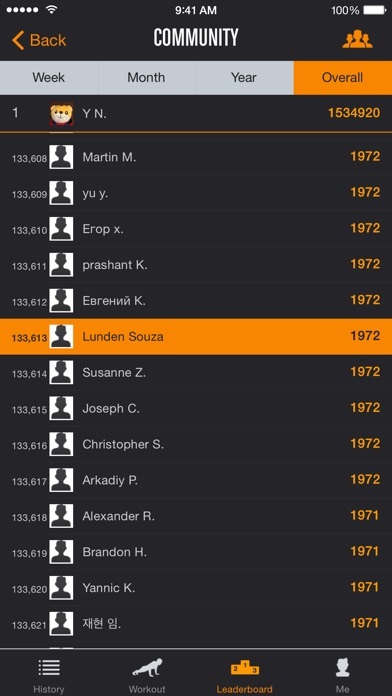 Great app overall and I can challenge myself!